Hi everyone, it’s Michelle and I’m back to do another review. 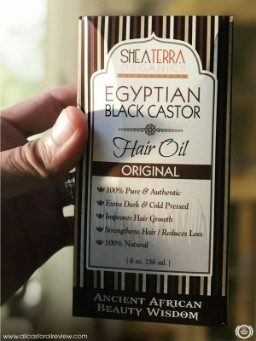 This time, I’ll be reviewing Shea Terra Organics Castor Oil. I got this product two weeks ago. 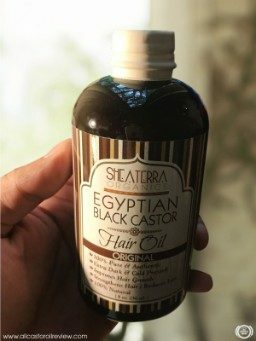 I’m really excited to try this Egyptian black castor oil and see what makes it different from cold-pressed castor oil. Stay tuned to find out what I loved about this oil! The product was delivered to my doorstep two weeks ago. It came in a delivery plastic bag with lots of tissue paper inside. It made the inside of the bag really snug so the product doesn’t move around a lot. The box of castor oil is covered in bubble wrap. When I opened it, I found that the bottle is bubble wrapped too. 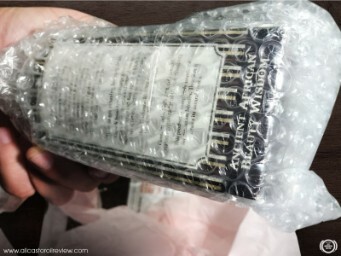 I was really impressed with this kind of packaging because it ensures that the bottle will not break or get damaged. I found all the information I was looking for in the label like ingredients and instructions on how to use the product. 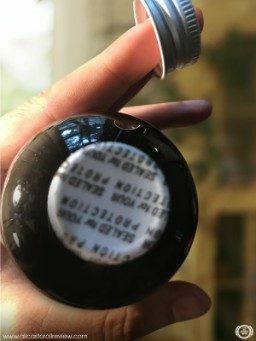 The bottle cap is covered in tamper-proof seal. There is another seal on top of the bottle’s opening so it doesn’t spill. The oil is very thick but it smooths out very well on my skin. 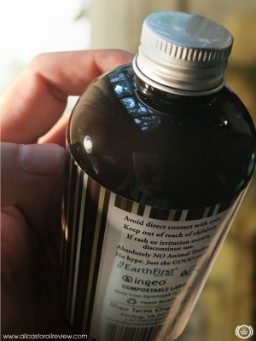 The bottle comes with a sealed twist cap. 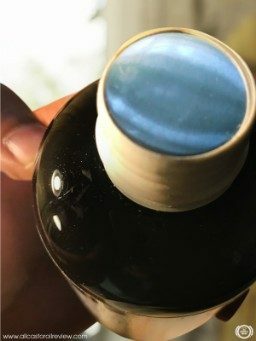 I removed the tamper-proof seal covering the bottle cap and the opening of the bottle. I took about a teaspoon of castor oil to test how it feels on my skin. 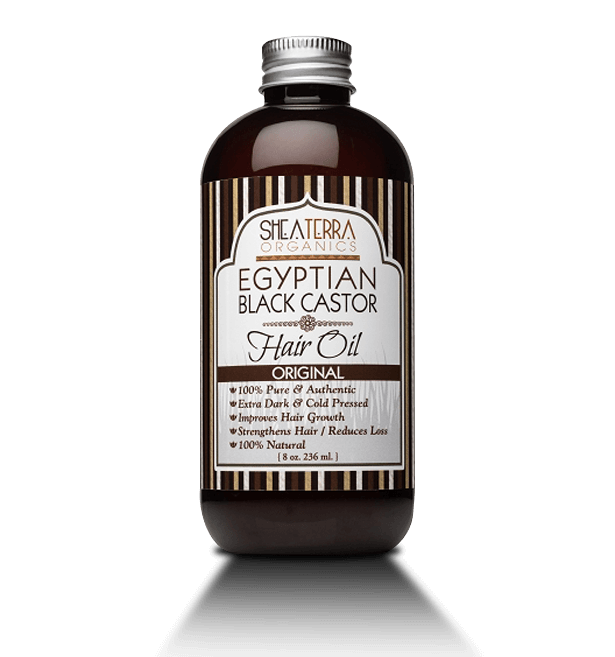 Shea Terra Organics Castor Oil has a dark yellow color that looks almost like brown. I took a small amount and applied it on the back of my hand. The oil is very thick but it smooths out very well on my skin. I waited for five minutes for the oil to get completely absorbed. It didn’t leave any sticky or oily residue after. This castor oil has a roasted smell that is very subtle. The scent goes away a few minutes after application. It smells like smoked woods that Marc and I use when we do barbecues. I can tell that the oil is high-quality because of the subtle roasted smell. I think this will work well on my hair because I have curly hair that tends to get dry and frizzy. When my hair gets frizzy, I apply a small amount of this oil to make it smoother again. A small amount of the oil works well in giving my hair added shine. 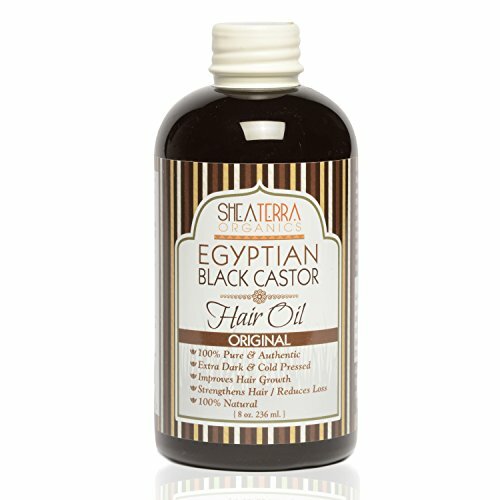 Shea Terra Organics Egyptian Black Castor Oil is different from the castor oil products I’ve tried before. 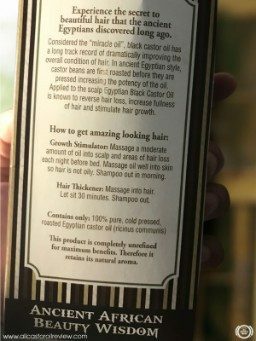 I’ve read that using castor oil for hair was really popular in Egypt back then. They believe that it has nourishing benefits that can strengthen hair and stimulate the follicles for healthy hair growth. I guess Cleopatra really made oils popular in her country. The product I’ve got has an ‘Original’ label so I searched for other castor oil products of Shea Terra Organics. I found that they have other variations or blends of castor oil. 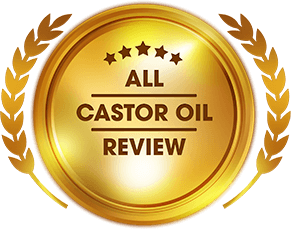 This castor oil is pure and free of any filler and chemical, which is why I felt safe applying the oil on my scalp. I used the oil for my DIY hot oil treatment and the result was truly wonderful. What I did is I first wet my hair using warm water. I did this so the oil can lock in moisture to my hair. Using warm water can make the oil absorb better into hair too. I removed the excess water by patting my hair dry. Wet hair might feel too heavy so make sure to remove excess water. I took five tablespoons of castor oil and put it in a small bowl. You should take the amount you need depending on how long and thick your hair is. If you have curly hair like me, you might need a lot more because it tends to get dry. However, make sure that you don’t apply too much oil on your hair or it will feel really heavy. I parted my hair into sections so I can spread the oil evenly on my hair. I started from the roots and massaged the oil on my scalp. This helps stimulate hair growth and reduce hair fall. The oil soothes the scalp and prevents conditions such as dandruff from happening. I combed through my hair until I reached the tips. After this, I wrapped my hair in a shower cap and covered it with a towel. Here’s a tip, if you don’t want to wet your hair using warm water, you can just warm the oil instead and apply it on dry hair. Making the oil or your hair warmer can increase the oil’s absorption rate. It also improves blood flow on your scalp so hair follicles can receive nourishment better. The label on the product indicates how to use it to stimulate hair growth or thicken hair. Recently my mom has been complaining about how her hair falls out easily even when she’s just brushing her hair. I made her try this oil for scalp massage every night. She applies it on her scalp before she goes to bed and leaves it on overnight. We didn’t notice a big difference after using it for one week. However, in the second week, her hair looked thicker and shinier too. My mom also said that she had less hair fall especially when she washes her hair. I love this product so much that I made my own hair serum. I mixed one tablespoon of Shea Terra Organics Castor Oil with one tablespoon of sweet almond oil and put it in a small bottle. When my hair gets frizzy, I apply a small amount of this oil to make it smoother again. A small amount of the oil works well in giving my hair added shine. It makes my hair smoother while making the curls more defined too. At first, I thought that the oil is quite thick so it would weigh heavily on my hair but it doesn’t feel heavy at all. Crazy, right? While I only intended to use the product for hot oil treatments, I found out that it is great as a serum as well. A small amount of Shea Terra Organics Castor Oil goes a long way to make my hair really smooth, shiny, and defined. I stopped using serums on my hair because I need a lot to tame the frizziness, but it leaves my hair looking wet. When I applied this oil on my curls, it actually made them look shinier, more defined, and less frizzy. My mom also loved the product because it helped curb her hair fall. It made her hair look thick and lustrous too. The subtle scent of the oil is just perfect because I can add essential oils to my DIY hair serum to make it smell good. If you have curly hair or frizzy hair, I recommend using this oil. It reduces hair breakage too, which is very common if you have dry and frizzy hair. The oil is easy to use and you can mix it in shampoos so it is less drying for your hair. Shea Terra Organics is a great brand of natural and organic products. The brand wants to help you find the best product for your skin and hair and at the same time, supports cooperatives and local groups. By using indigenous ingredients, Shea Terra Organics provides a source of income for locals. The brand does not use harmful chemicals and additives when creating their products. They make sure to keep each formula effective using Africa’s botanical ingredients. Shea Terra Organics offers a wide selection of skin and hair care products. They make sure that you can find the right ones for you by providing excellent customer service. 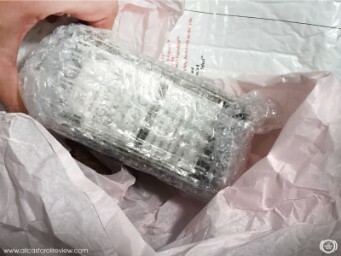 If you are not satisfied with the product, you can exchange it for another product of equal value within 10 days after you receive the package. Enjoy free shipping for orders above $99. For more exclusive deals, sign up for free and become VIP!